Changing Color Schemes, Transparency of Ubuntu Terminal is quite easy in Ubuntu Terminal to make it refreshing looking and for easy reading of the fonts. Most of us probably wants a transparent black Terminal with easy to read Green Font. 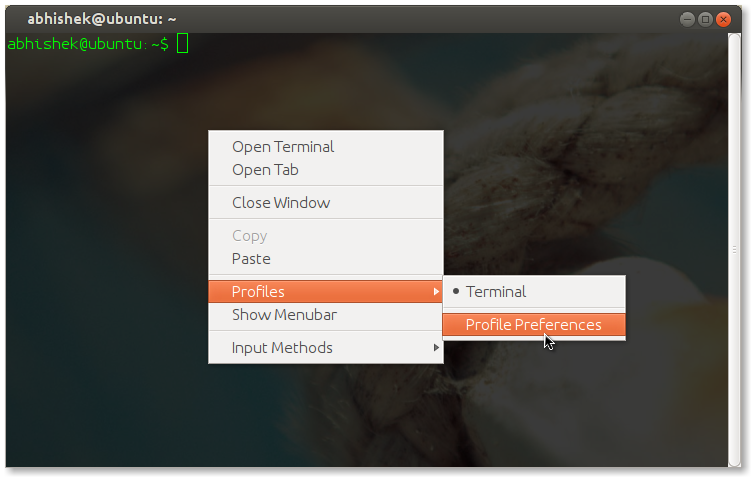 Here is how make the Terminal of Ubuntu 12.04 looking more good than default. 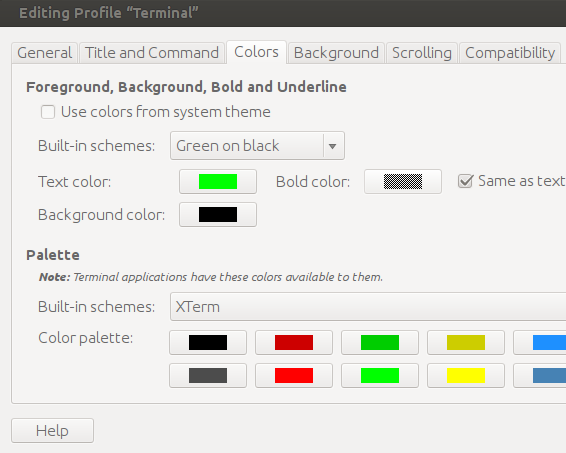 Here is detailed guide to for Changing Color Schemes, Transparency of Ubuntu Terminal along with few basic commands. Then click the Background Tab, select the Transparent Background option and drag the transparency to ~70% that will give the above look. This is actually the root where we enter with SSH Telnet Clients from our Windows PC with PuTTY or From Mac. This Article Has Been Shared 7834 Times! Customize iTerm2 with Color Schemes, Syntax Highlighting instead of the usual non transparent background, appealing text color etc. with scripts.Here is how to. Cite this article as: Abhishek Ghosh, "Changing Color Schemes, Transparency of Ubuntu Terminal," in The Customize Windows, October 16, 2012, April 21, 2019, https://thecustomizewindows.com/2012/10/changing-color-schemes-transparency-of-ubuntu-terminal/.